Pictures of heroin can tell us many things about the drug. By viewing pictures of heroin, we can learn what heroin is and what it looks like. We can see how it is used and we can see the effects that heroin has on people. The following heroin pictures show that heroin can appear as a white powder, tan powder or as black tar heroin. 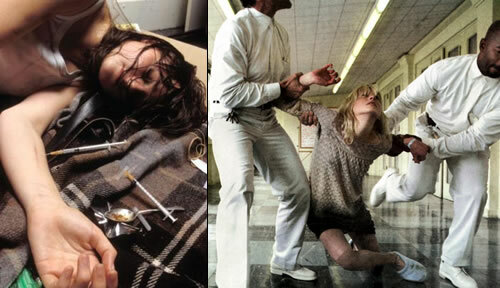 These heroin pictures demonstrate different ways of using heroin. Heroin can be snorted, smoked, or injected. Heroin pictures demonstrate the devastating effects of heroin use such as heroin overdose. Heroin pictures show how heroin is a powerfully addictive drug of abuse. Once having tried heroin, users cannot predict or control the extent to they will continue to use the drug.